The screening of large compound libraries to identify hit compounds involves a number of laborious liquid-handling stages. Plate preparation for compound screening and bioassays involves sample transfer from compound storage plates or vials, serial dilutions, assay plate preparation, and replication. These processes require repetitive, accurate, and time-consuming pipetting as well as meticulous sample labeling and management. With an escalating number of compounds, small molecules or fragments, and RNAi libraries, automated liquid handling has become a fundamental requirement for high-throughput screening throughout the drug discovery industry. Automated liquid-handling instruments such as those in the mosquito® product range (TTP LabTech) allow rapid, accurate, and reproducible compound dispensing and assay plate setup, reducing the turn-around time from compound synthesis to assay-ready plates. In addition, the ability to miniaturize assays using nanoliter liquid-handling instruments reduces the use of expensive reagents, helping to preserve the often limited quantities of valuable compounds or samples. Following a primary screen it is common for only a small percentage (1–3%) of compounds to be identified as active, requiring further study with secondary screening. At this secondary screening stage, individual samples need to be cherry picked from stock compound plates and new plate formats need to be set up for further biological assays. Traditional manual or semi-automated methods are unable to deliver the speed or throughput required for the efficient removal of hit samples from large numbers of compound storage or “mother” plates. In addition, instruments used for plate replication are often unable to cherry pick individual samples from a plate and can be limited for transferring samples between plate sizes (i.e., 384 well plates to 96 well plates or vice versa). Therefore the use of a dedicated automated liquid handler capable of rapidly cherry picking individual hit compounds as well as plate reformatting can significantly enhance the compound screening workflow. Incorporation of suitable tracking software and 2-D barcodes on the screening platform enable efficient sample tracking and recording, thereby eliminating the potential for manual data input error. The recent installation of a mosquito® X1 into the HTS Core at the Center for Chemical Genomics, headed by Martha Larsen at the Life Sciences Institute, University of Michigan, has enabled rapid and effective cherry picking of samples following primary screening. 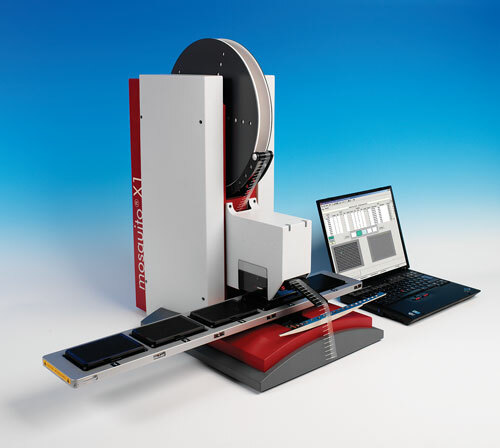 The key requirement for this small academic screening facility was for a low-cost, reliable, and integrated system to confirm primary high-throughput data and screen multiple plates in one operation. Although this research group employs a semi-automated pin tool for compound sample transfers during primary screening, it is not possible to use this instrument to select or array compounds for hit confirmation. Such tools are also not capable of performing serial dilutions for dose-response studies of selected compounds at the secondary screening stage. In this lab, prior to using mosquito X1, the manual preparation of 384-well plates limited screening throughput to 200 compounds per screen. Using mosquito X1, the group has successfully increased its screening capability to 3,000 compounds in a single run. 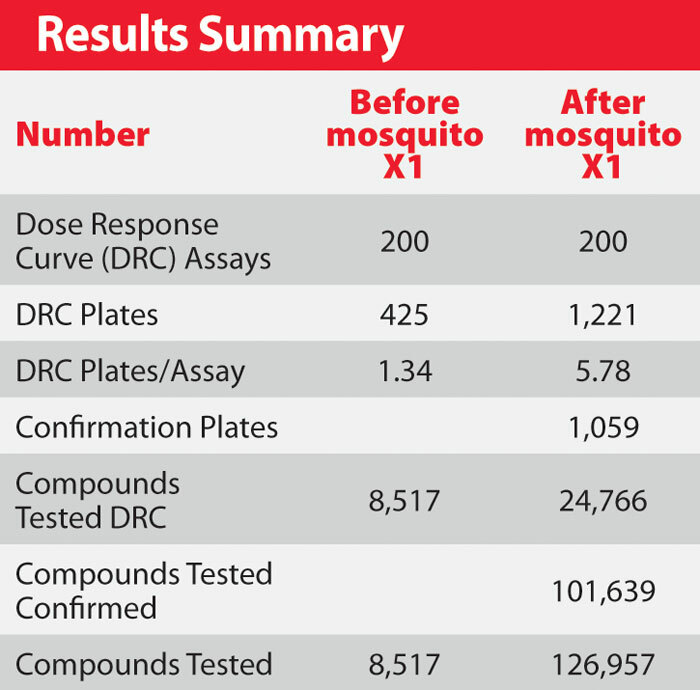 The Table highlights the comparison of data throughput obtained from 200 separate compound screens carried out before and after acquiring the mosquito X1. From this study it was seen that there was a threefold increase in the number of dose-response assays carried out and a fourfold increase in the number of plates screened per assay since using the mosquito X1. This led to a 14-fold increase in the number of compounds tested with over 101,639 compounds confirmed as active. In addition, with mosquito’s capacity for four destination assay plates allowing confirmation and dose-response formats it was possible to link this instrument to a RapidStak (Thermo Fisher Scientific). The RapidStak, which is capable of holding up to 150 plates at a time, automatically feeds to the mosquito X1 instrument, allowing a walk-away solution for secondary screening studies. Table. Comparison of data throughput from 200 individual compound screens using manual dispensing versus TTP Labtech’s mosquito® X1. The versatility of the mosquito X1 is of value to small academic research groups that need to get maximal use and value from each instrument in their laboratory. Although mosquito HTS is more commonly employed to perform serial dilutions of active compound leads for dose-response curves, Larsen’s group successfully uses the single tipped X1 to perform serial dilutions of each hit compound selected. This group has found that with easy to use, dial-in volumes and transfer protocols, mosquito X1 can easily perform sequential pipetting with minimal re-programming. 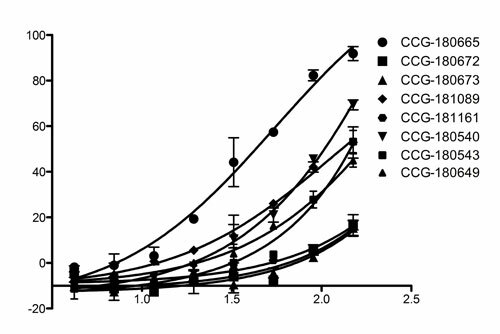 Figure 1 demonstrates the results of an eight-point dilution series of 10 hit compounds on a transiently expressed protein target. In this instance, dose-response curves were successfully achieved with mosquito X1 using lower volumes compared to those used in earlier studies. In addition, single disposable tip usage can be maximized, transferring multiple samples via sequential pipetting of the same sample, saving tip usage and costs. This research group also used their mosquito X1 to set up control wells containing identical concentrations of unstable control reagents or low volumes of DMSO identical to those in the compound sample wells. Of greater importance, they also found that mosquito X1 (Figure 2) was especially useful for dry spotting compounds that are labile in aqueous solution. Dry spotted compound plates were successfully stored at -20°C, ensuring sample integrity and providing assay-ready plates when required. The ability to pre-prepare plates at this secondary screening stage was highlighted to be of significant benefit to their workflow, while establishing optimal conditions for the set up of transient transfections. Bioassays using transiently expressed protein targets can be a bottleneck in the screening process. The successful establishment and optimization of expression of protein targets within bacterial, mammalian cell lines, yeast or insect cells can be lengthy. Once successful expression is achieved, it is often useful to be able to transfer these cells directly onto compound containing plates, and thus the preparation of pre-prepared plates can be advantageous. Indeed, a number of companies offer pre-prepared plates containing compounds in a ready-to-screen format in biocompatible solvents with no reconstitution needed. Such plates, although offering sample integrity and ease of use, are hugely expensive and many small-scale labs cannot justify the cost of commercially pre-prepared plates. Therefore the ability to set up pre-prepared plates using automated liquid-handling instruments such as the mosquito HTS or X1 are of great value to smaller research groups such as this, significantly increasing their screening rate and throughput. The large array of liquid-handling procedures required in primary and secondary screening of compound libraries makes the automation of liquid handling essential for both the primary and secondary screening stages of drug discovery. For small-scale labs that cannot justify the cost of commercially pre-prepared plates and for groups who have bespoke compound or RNAi libraries, the need to be able to accurately carry out compound screening setup using nanoliter volumes is important. TTP LabTech’s mosquito HTS and X1 offer precise and accurate nanoliter liquid handling from robust, small footprint instruments. mosquito’s ease of setup and use enables easy integration into a multiuser environment. The use of such instruments eliminates problems encountered in a high-throughput screening environment, reducing manual tedium and risk of error, in addition to the cost and effort involved in the discovery process. Joby Jenkins is applications specialist, and Wendy Gaisford (Wendy.Gaisford@ttplabtech.com) is senior writer at TTP LabTech. Web: www.ttplabtech.com. TTPLabTech would like to thank Martha Larsen for her help in producing this article and for supplying the figures.